What Are Orthotics? and What is the Proper Approach to Orthotics? Our Foot Specialist at Erin Mills Optimum Health in Mississauga gets asked this question often. Here he discusses what orthotics are and the proper approach towards orthotics. I find many patients that I encounter in my Foot Clinic at Erin Mills Optimum Health are unaware of what orthotics really are and what they are capable of doing. Patients have all sorts of wrong information. I wanted to share some aspects of orthotic therapy to help you understand a few things about approaching orthotics in a comprehensive manner. First and foremost, there is always a right way and not so much of a right way to acquire orthotics. I always encourage my patients to ask questions so that they are well aware of what they require and what they get. I will also say, that there is no replacement for prescription orthosis. I am referring to over the counter and machine insoles. Basically, if they are not from a regulated foot doctor, be aware. Orthotics devices are prescription medical appliances, like prescription eye glasses, that are an aid to help you restore biomechanical function. They need to be recommended and evaluated by a regulated foot professional (such as a Chiropodist) that specializes and demonstrates a good depth of biomechanical knowledge and experience.He should address all your questions in the manner that you comprehend. I customize my orthotics to patient symptoms and specific needs, without compromising function. The materials and design is customized to the specific activities and habits, by balancing shock absorption versus support according to the needs. Orthotics are devices that are fitted into your shoes and can be moved from one shoes to another, thereby benefiting your body biomechanical function. The footwear that you place your orthotics into is important and can help or hinder your function. 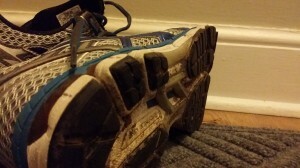 Good advice on footwear must be considered prior to getting orthotics. It is an important to understand the type of footwear that is normally worn. A deep shoe is ideal with laces, and a deep and rounded toebox. This does not mean that you have to stop wearing other shoe type. I often accommodate for other footwear type, such as dress shoes, if it is important. I like to encourage my patients to bring in some shoe sample so that I can guide them appropriately as well as to help me to customize certain features of their orthotics. 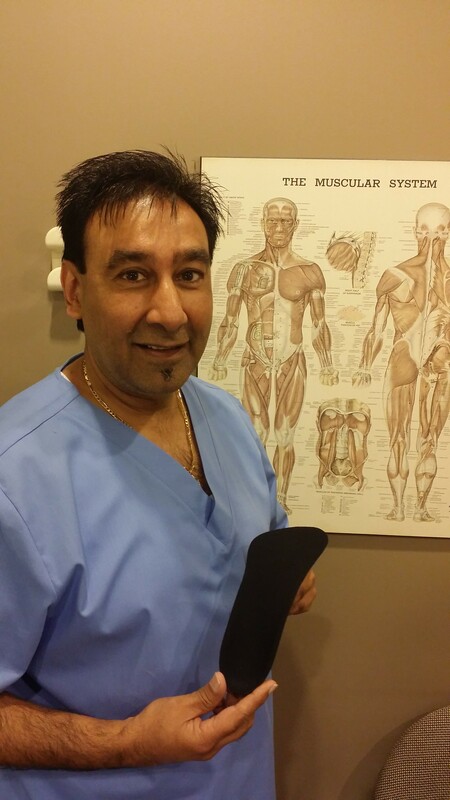 How do I address orthotics for my patients in Mississauga as a Chiropodist? When consulting with a patient that has biomechanical issues, such as foot, ankle, leg, knee, thigh, hip and back symptoms, I enjoy educating my patients into the” how” and “why” of their issues. I attempt to explain the relationship between various body parts that may carry symptoms. E.g. back pains are often related to foot function, and so by helping to connect the dots, my patients can make a more informed decision as to what may work well for them. I encourage my patients to bring in questions so as to better inform them. In my opinion, a more informed patient is more likely to see success. Once I feel that my patient has a good enough understanding of the reason for their symptomology and what orthotics are as well as what they are capable of doing and not doing, I normally proceed to doing a full biomechanical examination. Why is a biomechanical examination necessary for orthotics? This is a very important component of getting prescription orthotics and time is required to undergo this assessment. This needs to be done accurately by an experienced foot practitioner (such as a chiropodist), not their assistant. This assessment needs to be done with every aspect of the body regardless of where the symptoms might be. E.g. a patient complaining of right knee pain and right frequent ankle sprains and right great toe joint pain may well be related to a leg length discrepancy. In this case, I would check the hips, pelvis and alignment of the spine and reflect the finding in the prescription of the foot orthotics. The biomechanical examination is done with the patient in the sitting, standing (with front, side and rear views), during a gait analysis, and in the prone position and supine position. The head, neck, cervical, thoracic, and lumbar spine is examined briefly, along with the gluteal area. Thigh and knee is examined along with muscle range of motion and strength equality from front to back, medial to lateral and compared from left to right limps. Joint alignment and range of motion is checked in the hip, knee, ankle and all joints of the feet. The biomechanical report that I generate from these tests allows me to create prescription orthotics designed for each foot of the individual patient. The biomechanical reports are also prepared and given to the patients to help them with their submission to the insurance companies as they want to see that the foot specialist that prescribed the orthotics has done the proper examination required to help the patient. A proper Foot Impression is important for prescription orthotics. Casting of the foot with the patient in the prone position is what is highly recommended and preferred, in order to get the best impression of the foot in the aligned (sub-talar neutral) position. This is your prescription position of the foot and is another very important aspect of orthotics therapy that the patient should not compromise. I discourage foam box, computer mat and laser foot impressions, as my opinion is that they are not as accurate in placing the foot in the proper alignment required. A short time after, once the orthotics are sent out by the licensed orthotic laboratory, quality control checks are done on each orthotic, prior to approving. Once approval is given, the patient is contacted for a fitting appointment.At this appointment, the features of the orthotic are explained and what function it plays to aid the patient. Many technologies are incorporated into my orthotics to not only resolve symptoms, but also to help prevent other potential problems.Advice is administered to the patient on how best to adapt to the orthosis as well as more footwear advice. I am very interested in following the progress of my patient, once orthotics are administered. The progress of the patient and their orthotics is monitored for its success and its prevention elements over the year. In closing, I would always encourage everyone to think prevention and consider early intervention with prescription orthosis. I like to believe that we can control the problems before they break, rather than wait to fix it after it breaks, which does not always work well. Preventative care is the chief concern that I look to address in my patients in Mississauga. I find, by empowering my patients via this education and preventative care, I see much more success in their treatment plans with the prescription orthosis. I recently got new orthotics from our Chiropodist to assist my foot, knee, and hip biomechanics. I have used orthotics from Kiran for many years and I appreciate how he approaches the health of the patient from the feet upwards. As a Chiropractor, my expertise is addressing the health of a patient from the brain downwards through the spine. This approach towards health is very important which is why I am proud to be a Chiropractor and under regular Chiropractic care. Other approaches towards optimum health are also important, like a Chiropodist or podiatrists view point of how the feet can impact the health of the body through the foot, knee, hip, spine mechanics (or from the bottom-up). What is the Chiropody view towards orthotics? If the foot collapses inwards (pronates), it creates an inward rotation at the shin bone and knee. This rotation impacts the health of those joints and above. The result of poor foot, knee, hip mechanics can be pain as well as decreased performance, repetitive injury, and degenerative changes to the joint causing arthritis. New orthotics will help support the body to prevent these problems and to improve the body’s ability to function and perform naturally. Who benefits the most from orthotics? Everyone can benefit from having prescription orthotics designed for their foot mechanics. However, I clinically see that the people who benefit from orthotics the most are people who are on their feet all day at work or people who run longer distances. I have personally benefited from my new orthotics. My knees have been in much greater shape and I have been able to run to greater distances due to my new orthotics helping my running mechanics.